Explanation: What would you see if you went right up to a black hole? Featured is a computer generated image highlighting how strange things would look. The black hole has such strong gravity that light is noticeably bent towards it - causing some very unusual visual distortions. Every star in the normal frame has at least two bright images - one on each side of the black hole. Near the black hole, you can see the whole sky - light from every direction is bent around and comes back to you. The original background map was taken from the 2MASS infrared sky survey, with stars from the Henry Draper catalog superposed. 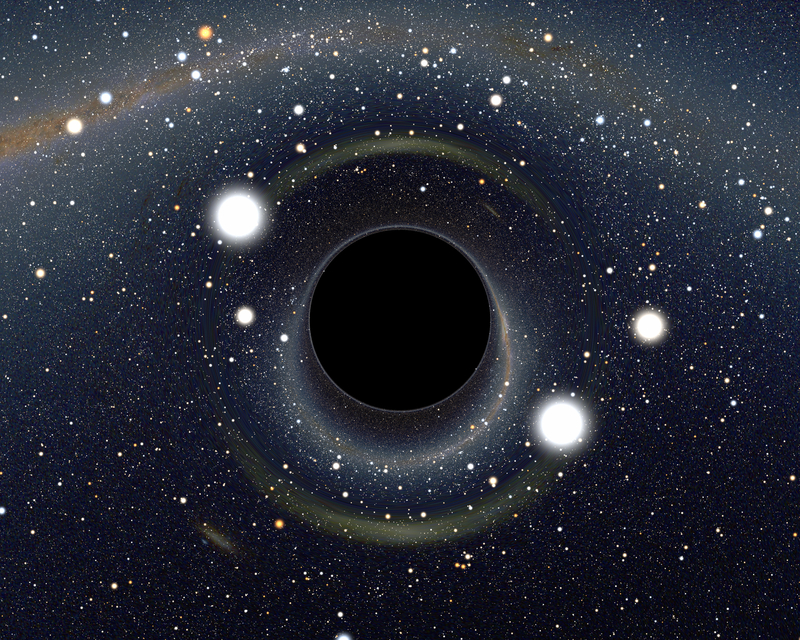 Black holes are thought to be the densest state of matter, and there is indirect evidence for their presence in stellar binary systems and the centers of globular clusters, galaxies, and quasars.